Have you always wanted to see your name on the back of a jersey at Wrigley Field? 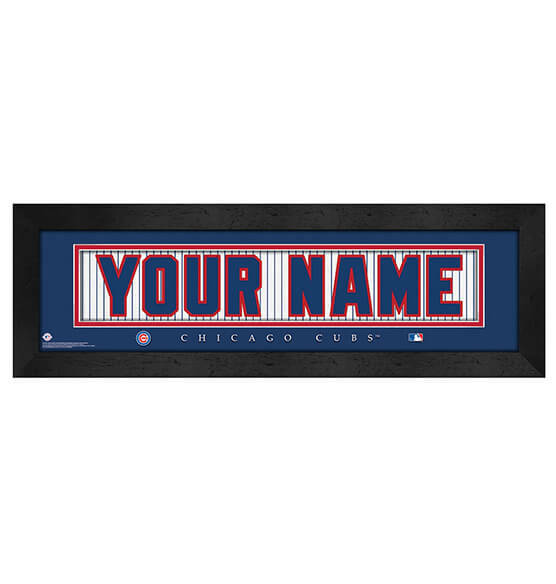 With our Chicago Cubs Personalized Nameplate Sports decor, we can help you with at least one of these bucket-list goals! Whether you're buying this product for yourself or a Cubbies fan in your life, you can't go wrong with this custom sports decor. Our premium piece comes conveniently ready to hang with a sleek black wood frame and sawtooth hanger. It has high-quality touches like a mat border and vibrant team colors. Show allegiance to your Chicago Cubs with this sports decor you'll be proud to display!